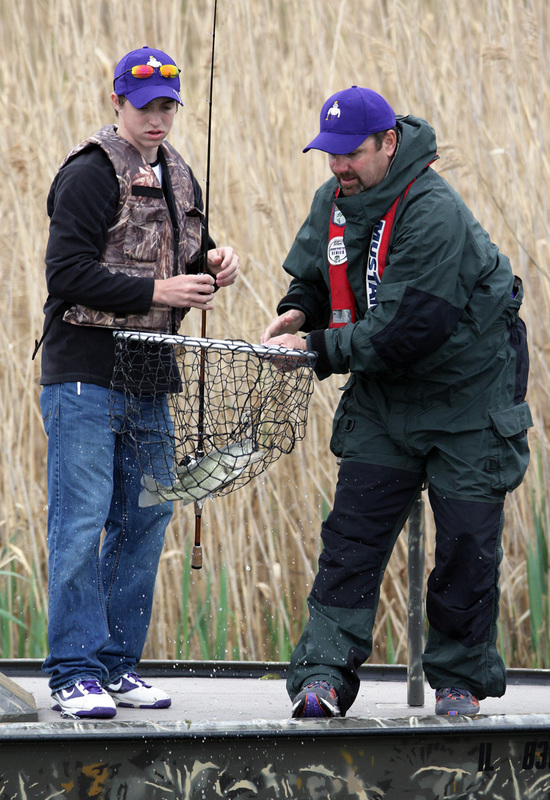 Pekin High School captured both the Mid-Illini bass tournament held Friday April 17th at Banner Marsh and then repeated as Sectional Champions again on April 24th.They were led by senior Alex Cufaude who brought 15.13 lbs (5 bass) to the scales. He caught all five of his teams fish on a special spinnerbait. 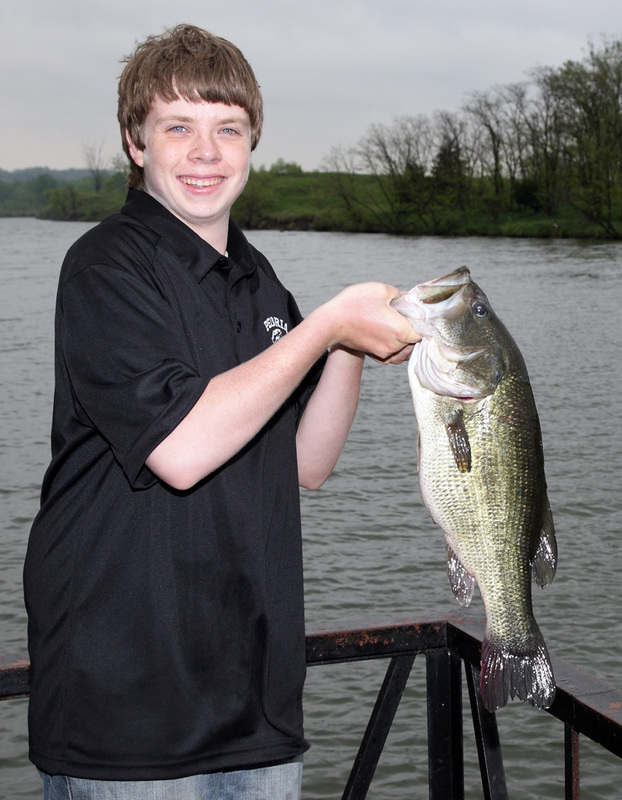 Dunlap High School placed second (five bass, 12.28 pounds) and Limestone High School was third (five, 12.02). 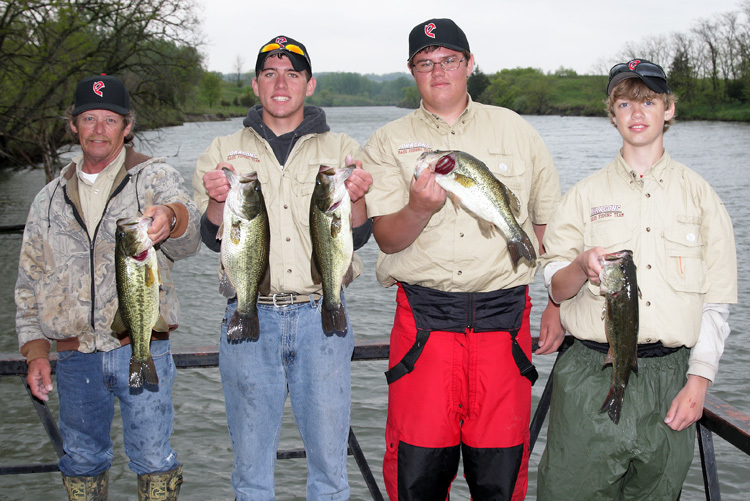 The top three teams advance to the state finals May 7-8 at Carlyle Lake. 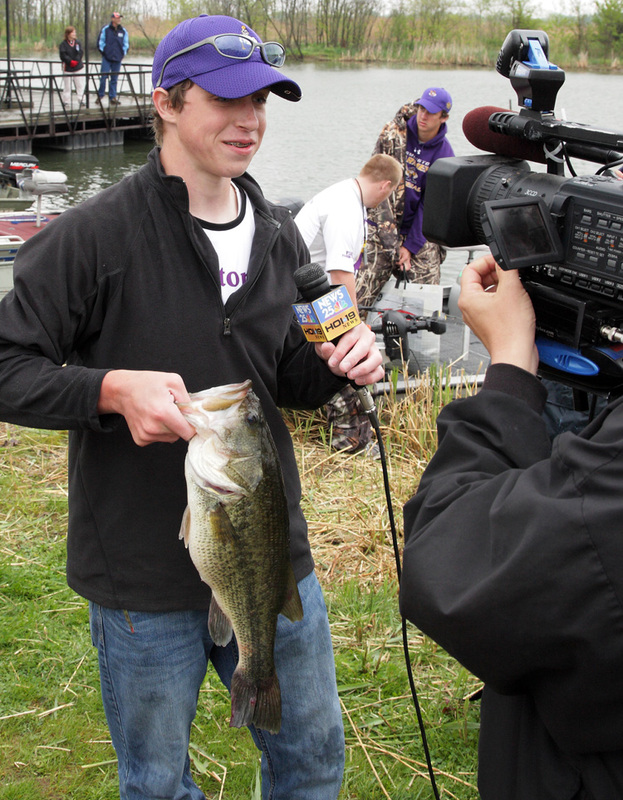 Canton High School sophomore Austin Rhodes thought his 5.02 lb largemouth would win big fish of the day until Peoria Christian sophomore Luke Stewart brought a 7.12 lb lunker from his livewell. The tournament was once again run by Joe Stoner and his staff from Illini Bluffs High School. Jim Mattson from WHOI-TV was on hand to to gather interviews from the kids and Peoria Journal Star Outdoor writer Jeff Lampe covered the event. 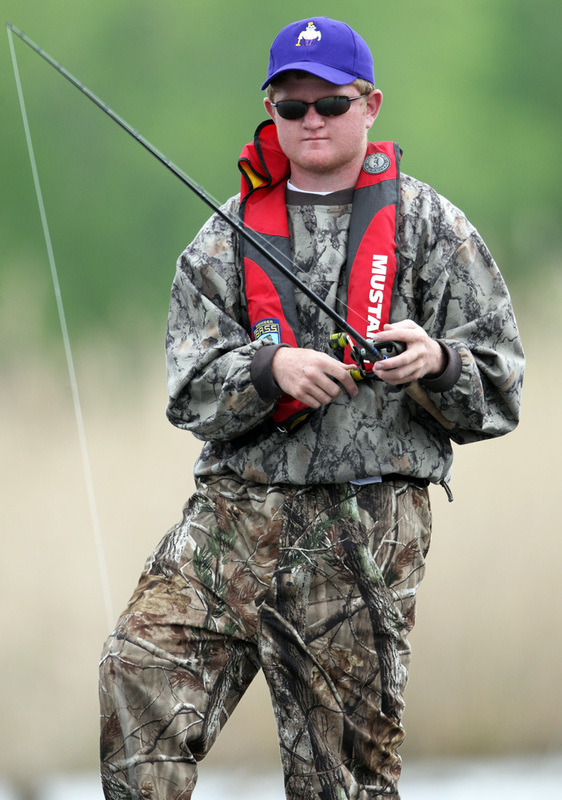 Last year 2,496 students fished in the IHSA series and 55 percent were students who did not compete in any other school activity. Reaching kids like that was one reason the IHSA started this series. I only wished it was available when I was in High School. Got a chance to put my 600mm f/4.0 L IS lens to work with my Canon 1D Mark IV body. They are simply the best tools for this job and it shows in my images. 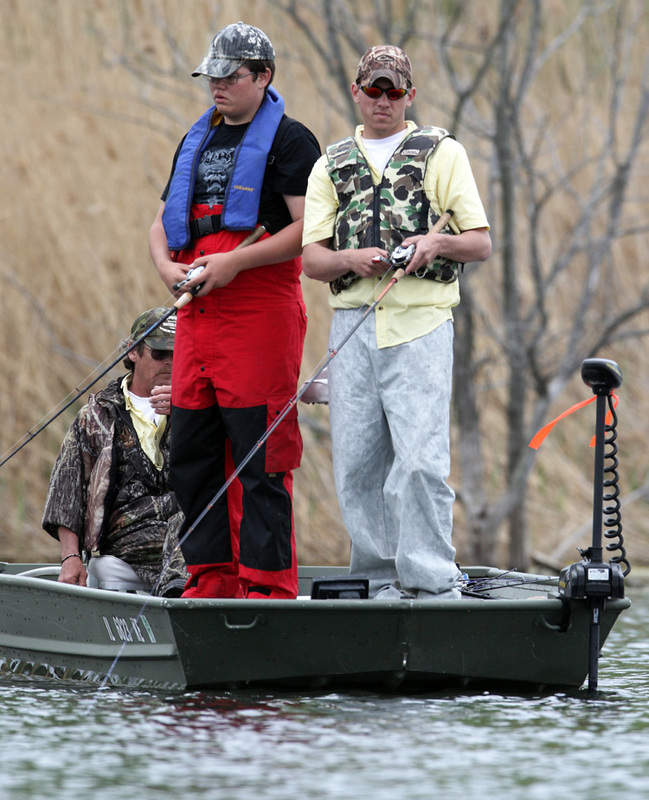 You need to keep your distance from the fishermen as they work in the shallow bays.